Babies love tags. Give them a toy/blankie/pillow, etc. they will find the tag and obsess over it. I guess that's why they make blankies and toys with tags all over them...go figure! 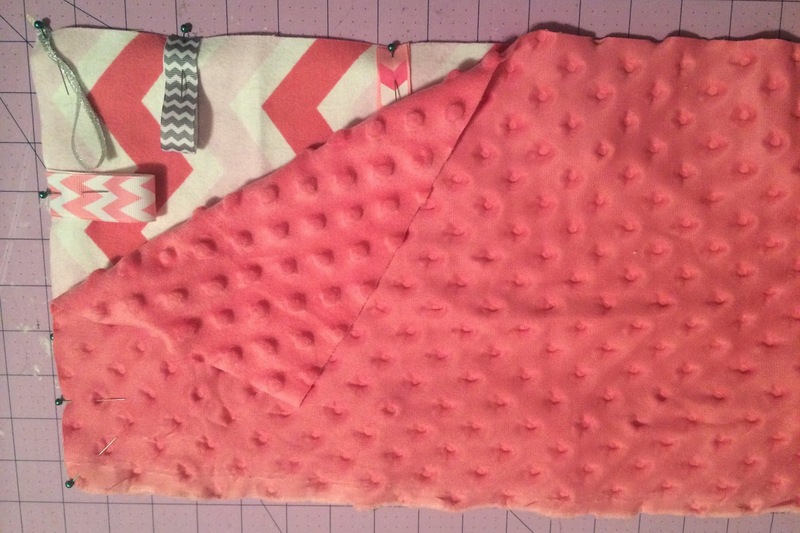 As a hoarder of fabric, ribbon, and well, all types of craft supplies, I decided to make a lovie/taggie blankie for Henley. I added in a binkie strap in the corner to keep track of one of the tens of binkies that I have and misplace on a daily basis. 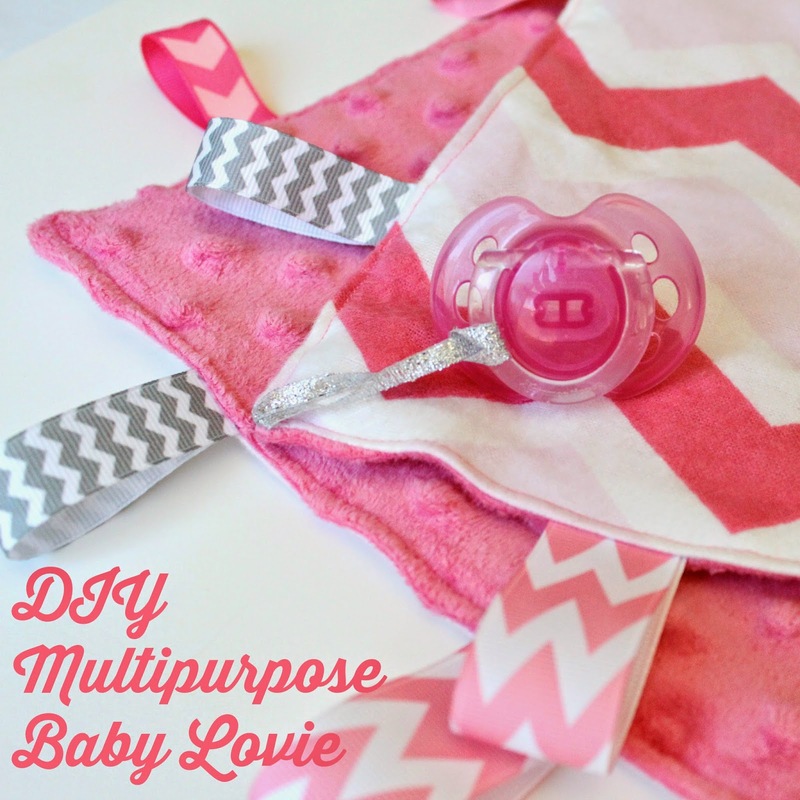 It is really multipurpose because it acts as a lovie, pacifier holder, taggie toy, and burp cloth in a pinch! This project took about ten minutes from start to finish. Perfect for naptime, especially when you have a cat-napper like mine. 1. Cut your fabric. You can make yours any size or shape you want, but you may need more ribbon if your Lovie is bigger than 18 x 10". 2. Lay your flannel fabric out flat, right side up. Take your pieces of ribbon, fold them in half, and pin them evenly around your fabric. Make sure to pin the open edge (as opposed to the loop) to the edge of the fabric with the loop facing the middle of the fabric. Pin the 6" ribbon in one of the corners. It will serve as a pacifier strap. 3. 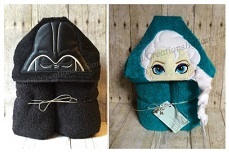 Once all the ribbon is pinned in place, place your minky material on top of your flannel and ribbon, right side down. Pin the pieces together. 4. 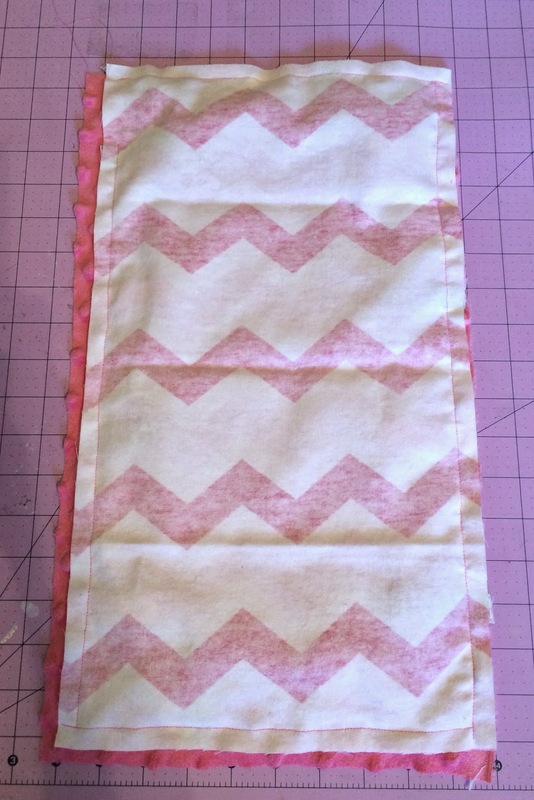 Sew along the edge with a 1/2" seam allowance. Make sure to leave a small opening to turn the lovie right-side-out. 5. Once turned, press and fold in the unfinished hem and sew shut with a 1/8" seam allowance. 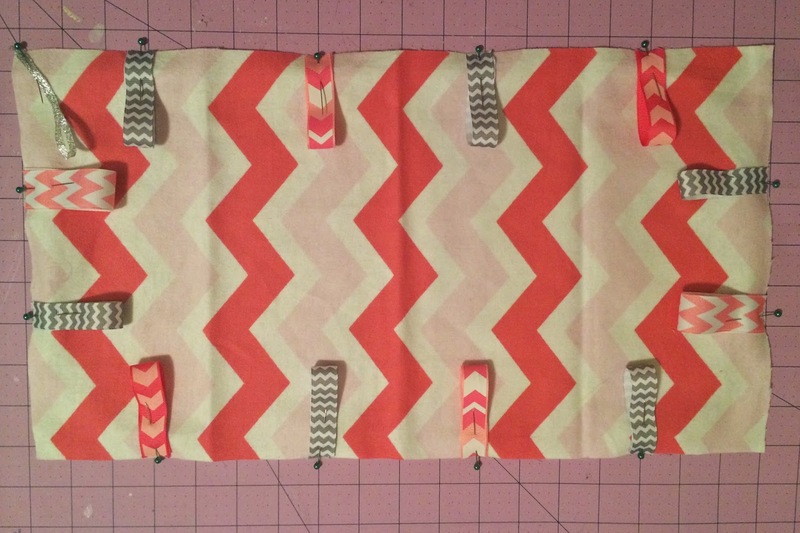 Continue sewing around the entire lovie for a finished look. 6. 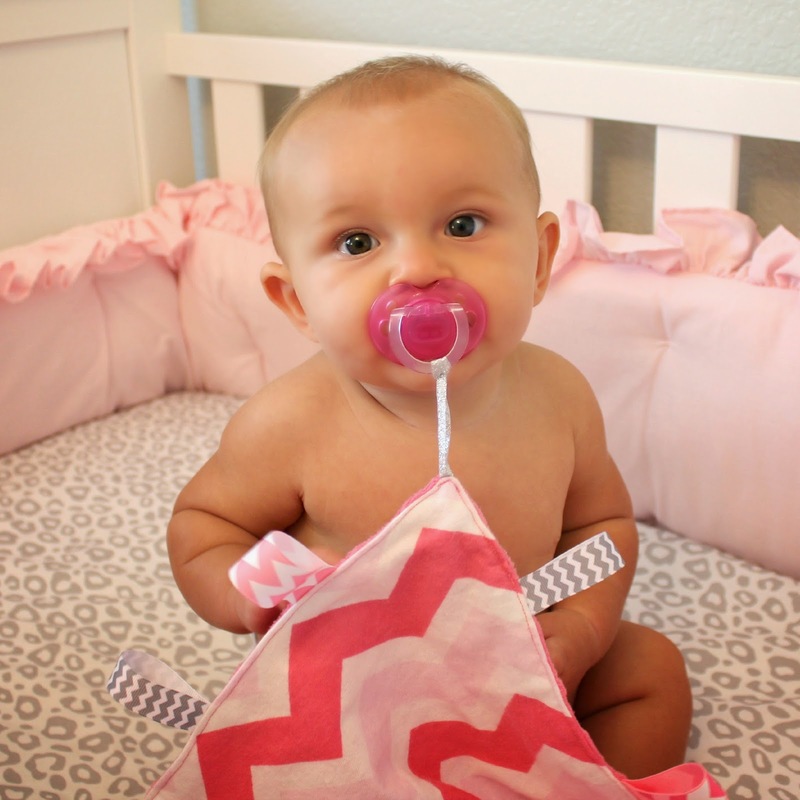 Attach a pacifier and give to your little one! Or, give as a gift!